Enrich Your Child's World At Sleepy Hollow! 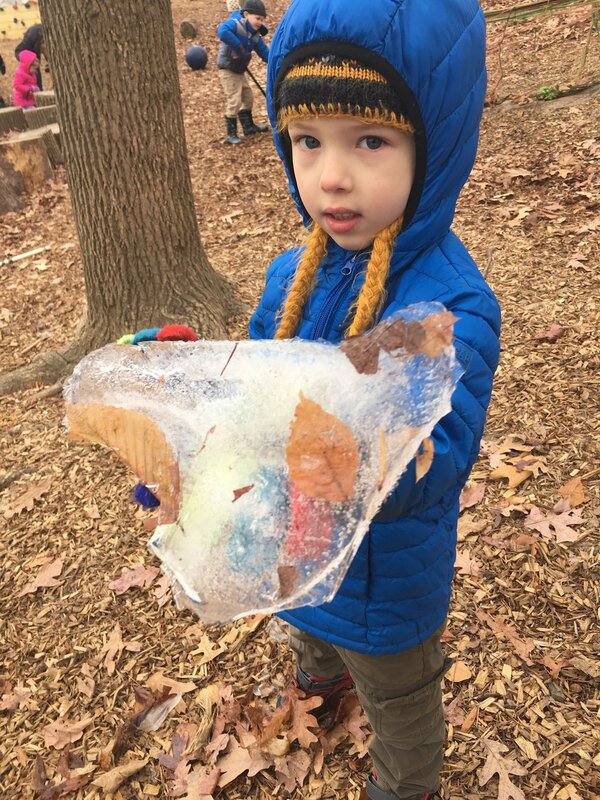 In addition to Sleepy Hollow staff, parents and children, our specialty curriculum teachers bring a love and affinity for many subjects, including science and music. 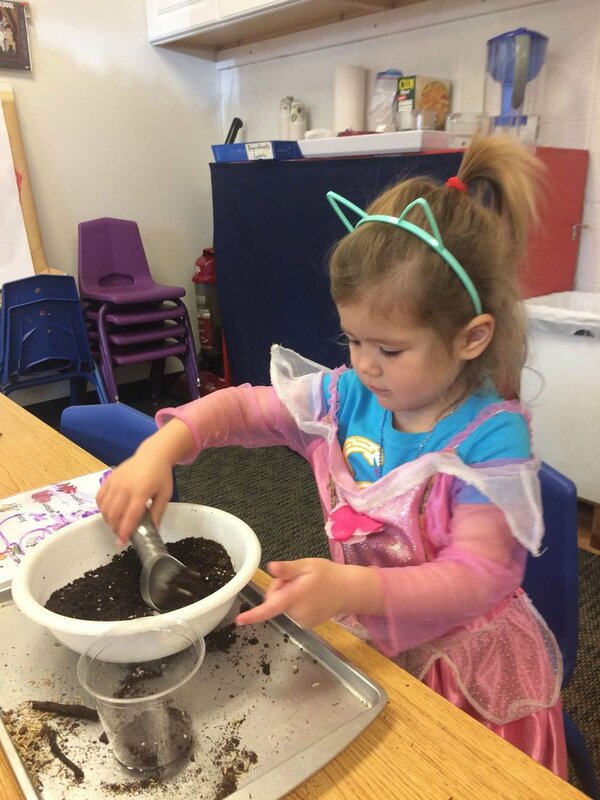 Throughout each month, we teach music and science through play so that children learn and experience the wonder of the world around them in a familiar classroom setting. Children experience a variety of musical instruments and genres as well as learn to form their own hypotheses and conduct their own experiments. Children learn chemistry through simple experiments with baking soda and vinegar, or even just mixing water and dirt to make mud! Animals are also a very important part of school at Sleepy Hollow Preschool. Several of our classrooms are also home to guinea pigs, mealworms, fish and other small animals. Insects on the playground are a frequent discovery of Sleepy Hollow children, who later in their day may be creating an insect habitat for insects they have collected. 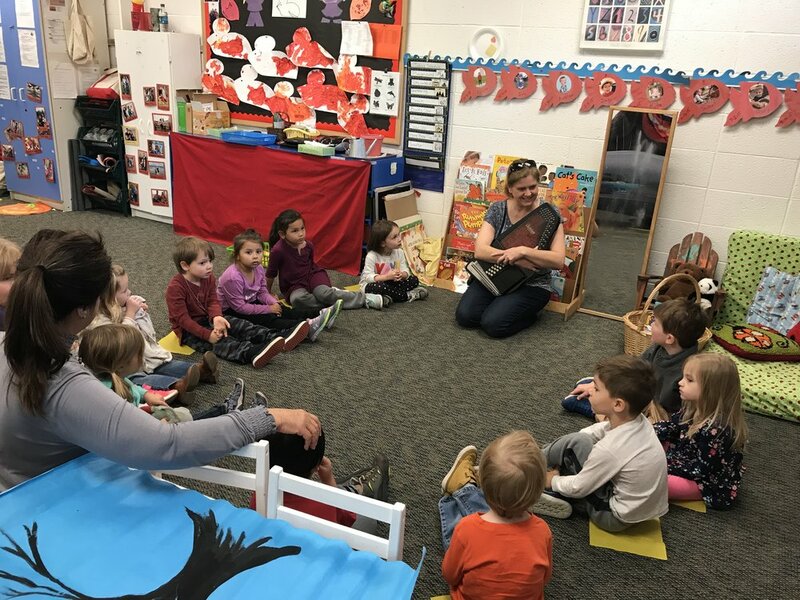 Music class exposes children to a variety of basic concepts, styles, and instruments, to enhance cultural experiences, and to foster a love of and enduring interest in music, all while supporting the overall development of each child. Music also plays a big part of our outdoor curriculum, whether we are performing in the amphitheater or singing songs as we come inside, clean up or thank our friends. We also have a large music section on our playground, with lots of space for tapping, dancing, banging and creating music together!